As your children turn from kids to adults, buying them presents for the holidays or birthdays can become a difficult task. They become far less easy to please and far more expensive to shop for. You may have given up the fight and settled with money, gift cards or clothing (that they will probably end up returning for the money). We thought that we would end this madness and give you a few gift ideas that will guarantee make your kids cry or at least give you a really big hug! The best part about these gifts are you most likely will have almost every one of them, and with the help of Frameusa.com you won’t even have to leave your house this Black Friday because you will be all set for your presents. 1. 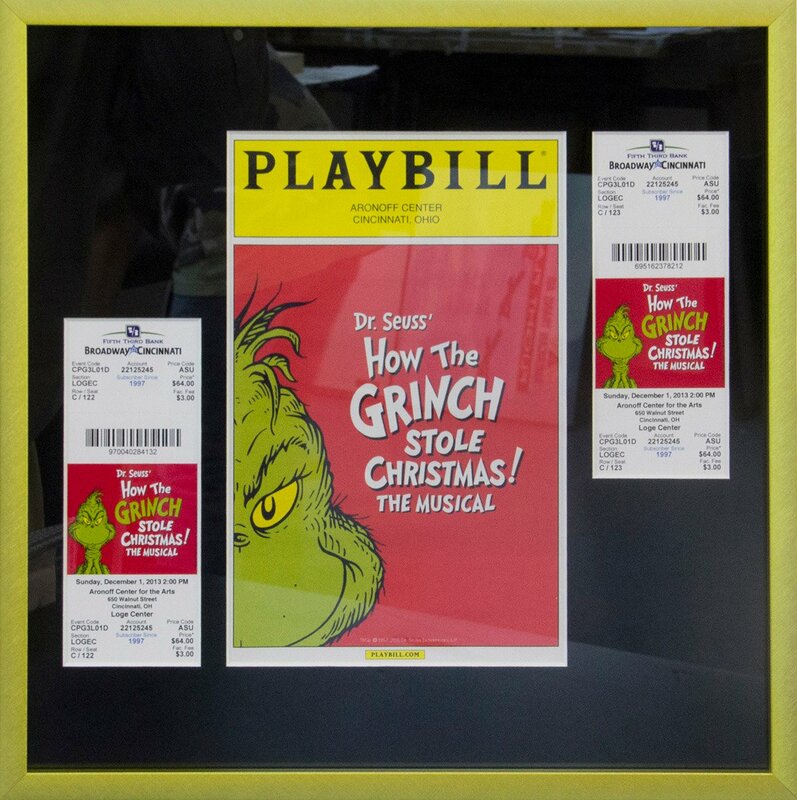 Frame ticket stubs and program from an event you experienced together. You can Use the aforementioned shadow box picture frames and have the blanket sewn onto black foam core. 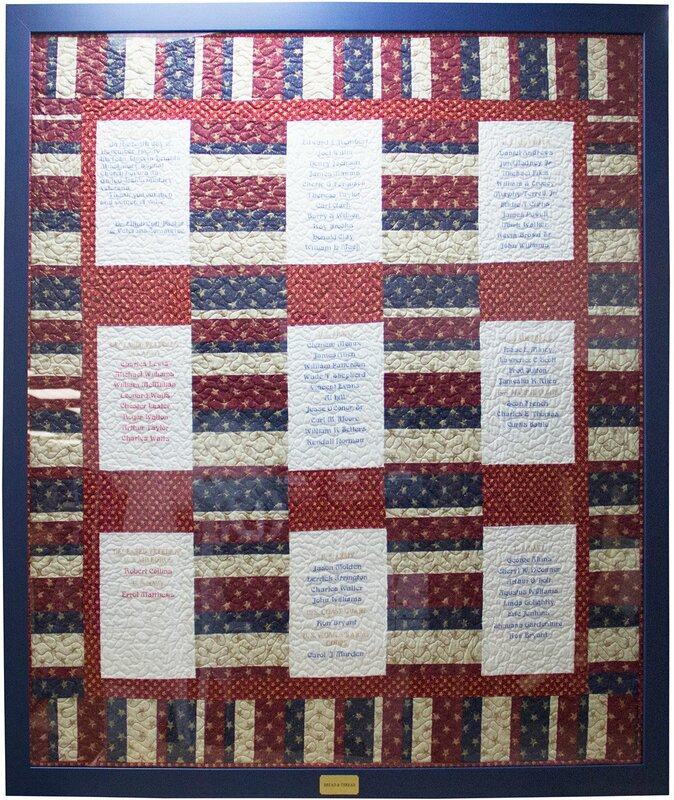 The other option is to unfold the blanket and frame it in a traditional wood frame. Take your child’s equipment and find a photo of them wearing it. 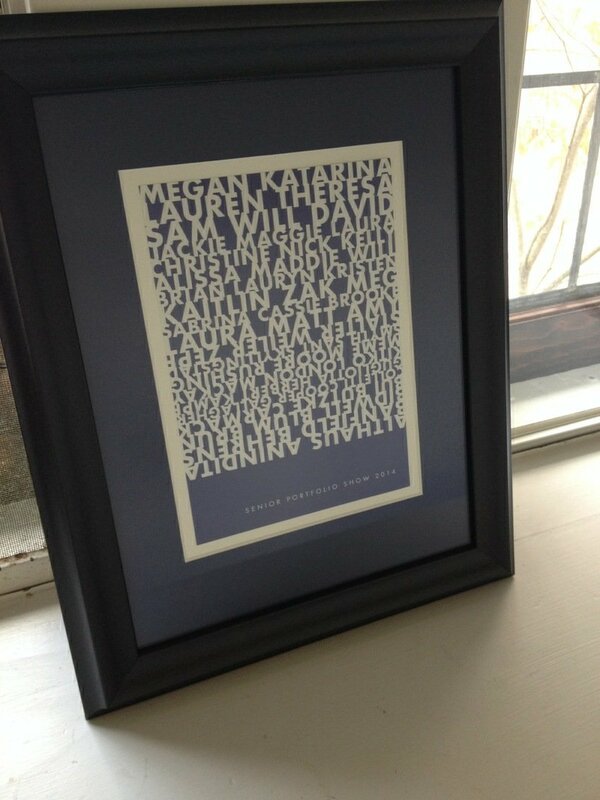 Use our Shadow Box Showcase picture frame and combine them for a meaningful gift. 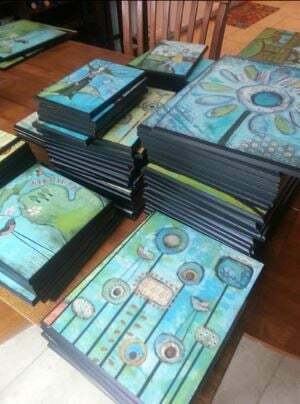 Our Customer Kandy Myndy Turns Her Artwork into Plaques! 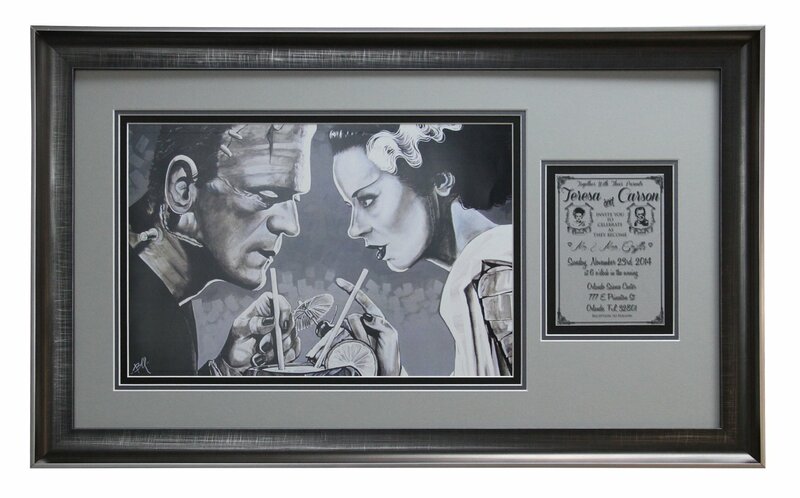 We can take a copy of your child’s artwork and turn it into a plaque that can be hung on a wall. For more information about the plaque process, click here! A Plaque is a great picture frame alternative that allows for you to protect your pieces but in a simple inexpensive way! You can use Build a Frame and choose beautiful mats and high quality made in the USA picture frames to turn that moment into a lasting memory. These can be especially wonderful to use as a gift for your grown children, especially those that have new families of their own. 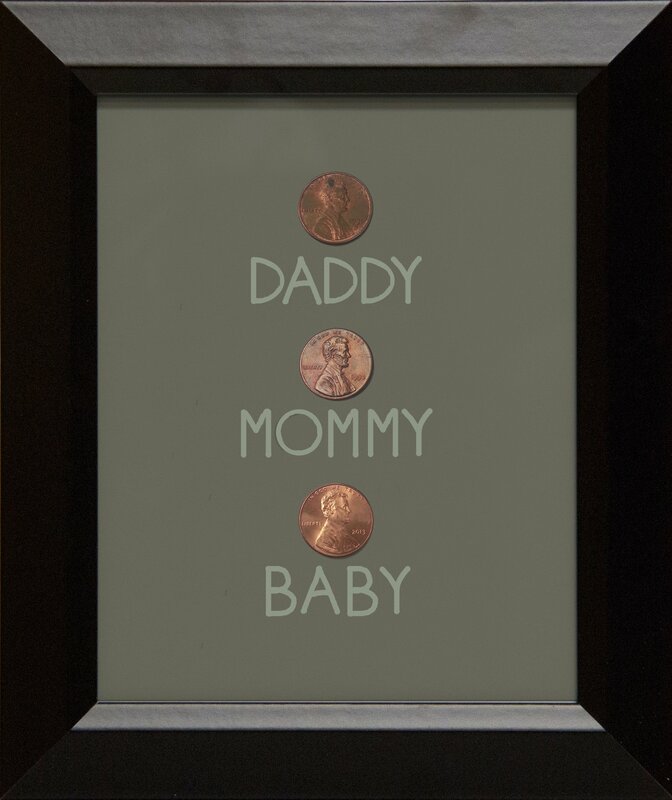 Once you have the pennies you can lay them out however you please, in a more artistic way such as in a family tree style, or a simpler layout such as a straight line. 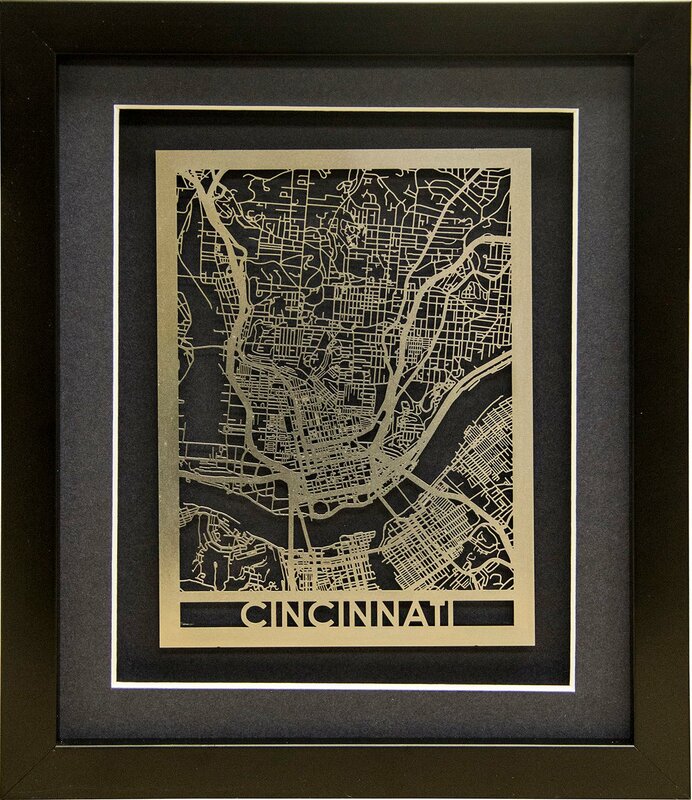 If you’re really crafty you can do something spectacular to the map, but for those of you that are like me, all you need is an image of a map, scissors and a made in the USA picture frame. 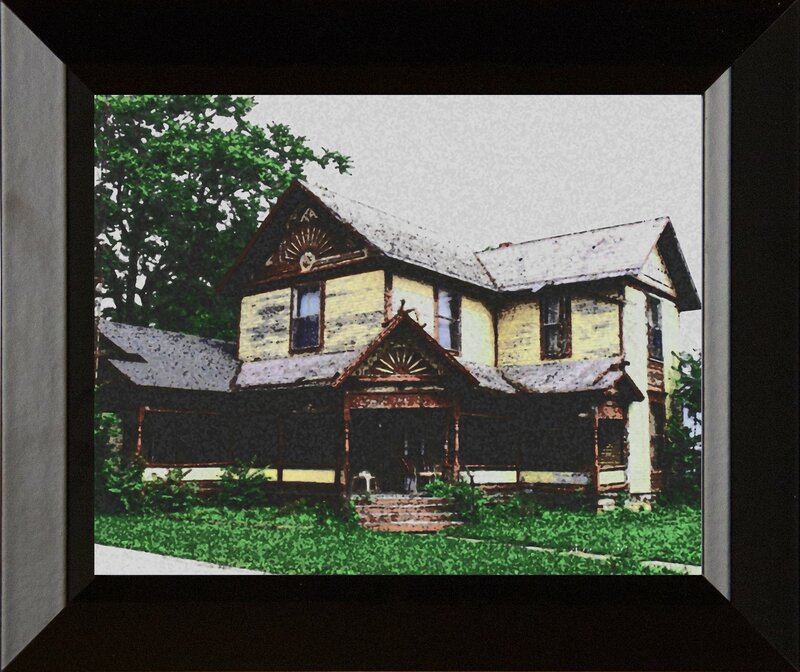 We suggest turning it into more of an artistic style photographs using an online generators. After hearing of the topic of this blog, one of our employee’s shared with us a personal experience that really showed us that these gifts really do mean the world to our children. With approval of this employee we thought we would share her story with you to show that this really is a worthwhile post and is not just an attempt on our part to push our products. Giving your child (or anyone for that matter) a worthwhile gift isn’t about how much you spend or how trendy it is, it’s about coming up with something that makes that person feel cherished. That is why these gifts that we gave you are so effective; they will make your child see that what is important to them is important to you.